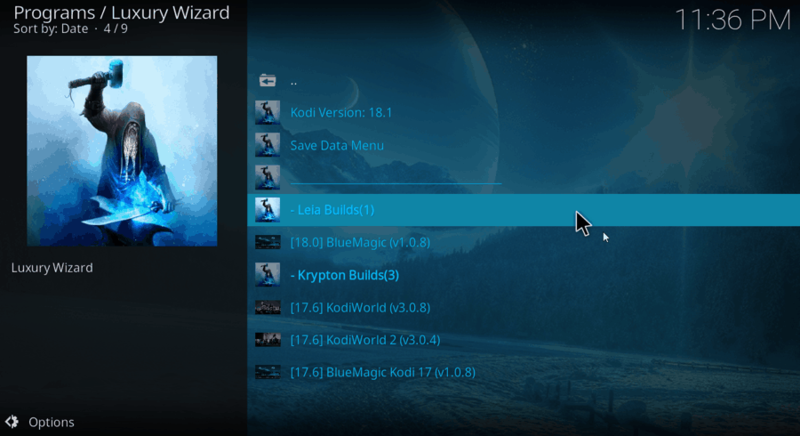 Following is a step-by-step guide that will help you to install Blue Magic Kodi build on Kodi 18.1 Leia. The steps mentioned in this guide are universally applicable. 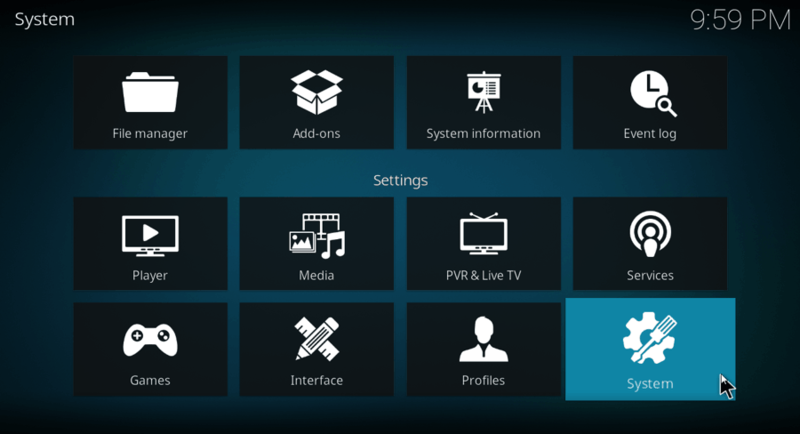 This means you can follow these steps to install Blue Magic Kodi build on FireStick, Android Mobile Phones, Windows, Mac, Android TVs, Android Boxes, etc. 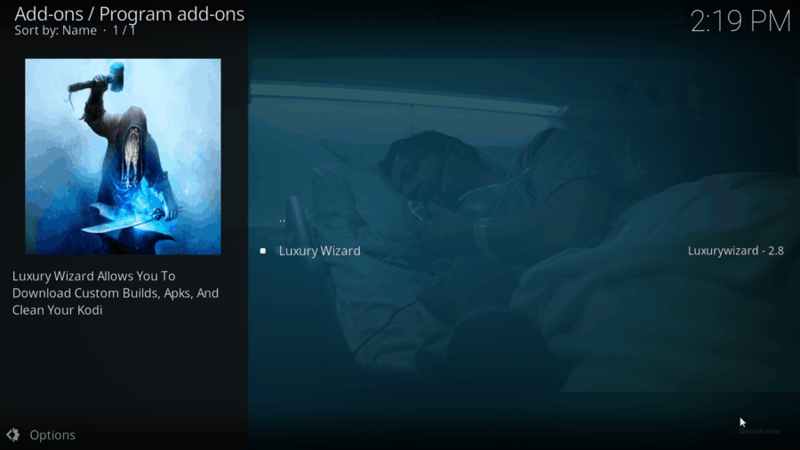 The Blue Magic Kodi build is not only known for its attractive skin, but also preferred by users as it comes loaded with Add-ons like Maverick TV, Aspis, Selfless Lite, At the Flix, and more. 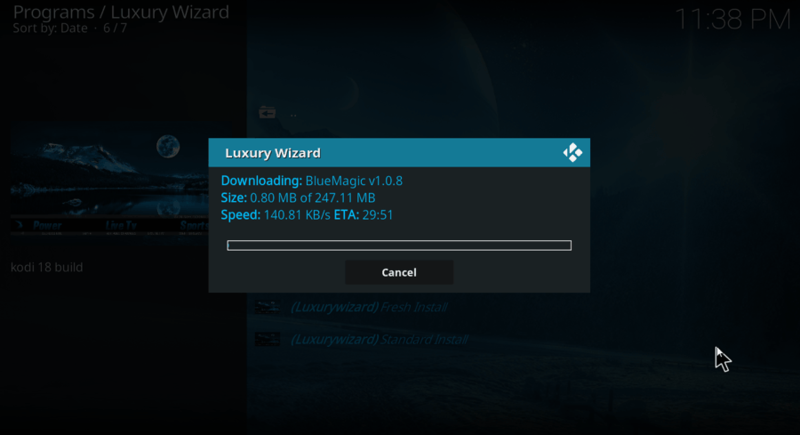 We are going to install the Blue Magic Build on Kodi through Luxury Wizard. 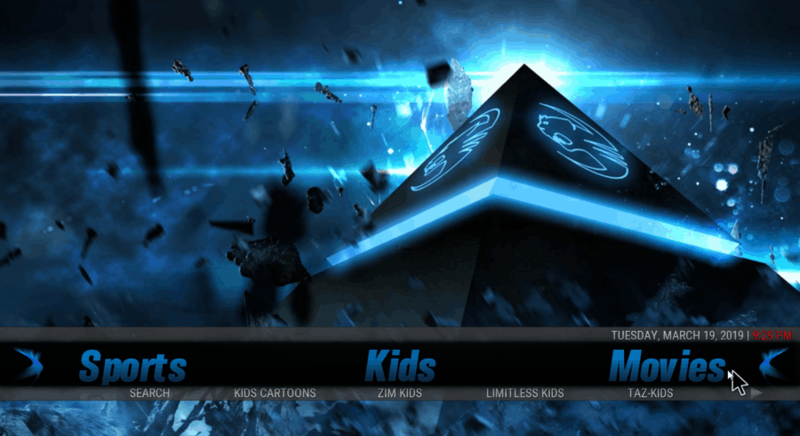 It is a decent Kodi build with a download size of around 250 MB, and works smoothly, without any issue. The Blue Magic skin along with the pre-installed Add-ons are just steps away from you. 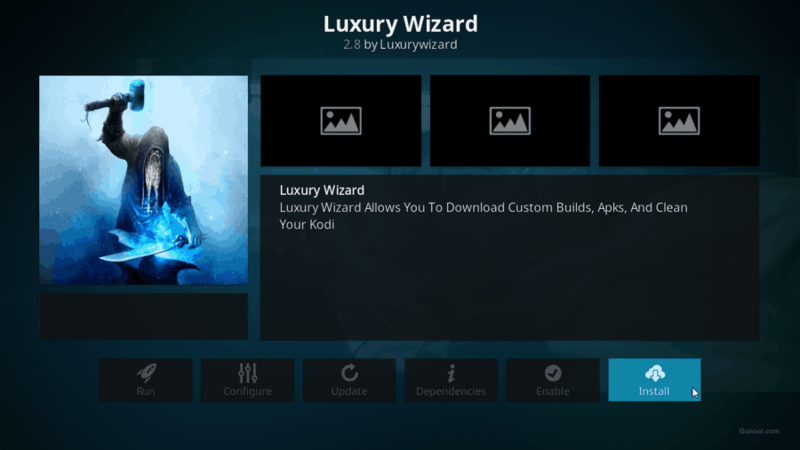 Before you proceed to install the Blue Magic Build on Kodi, it is important that you enable installation from Unknown sources. 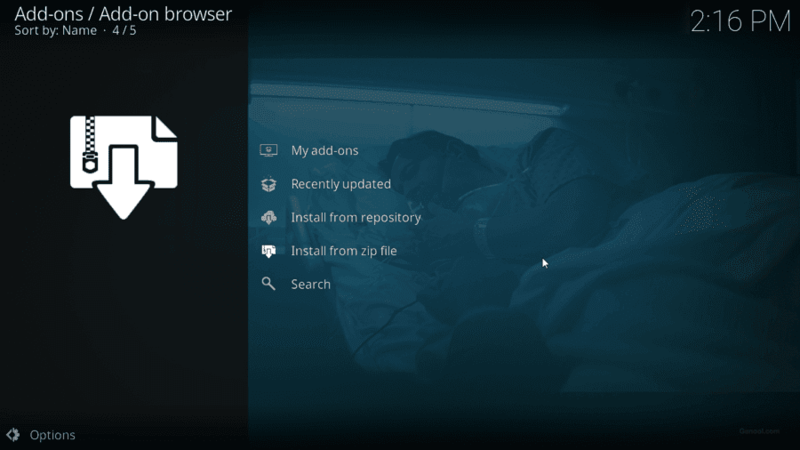 Step 1: Run/Launch Kodi on your device. Step 2: Select the Settings icon available on the top of the left panel. Step 4: From the left panel, select the Add-ons option. 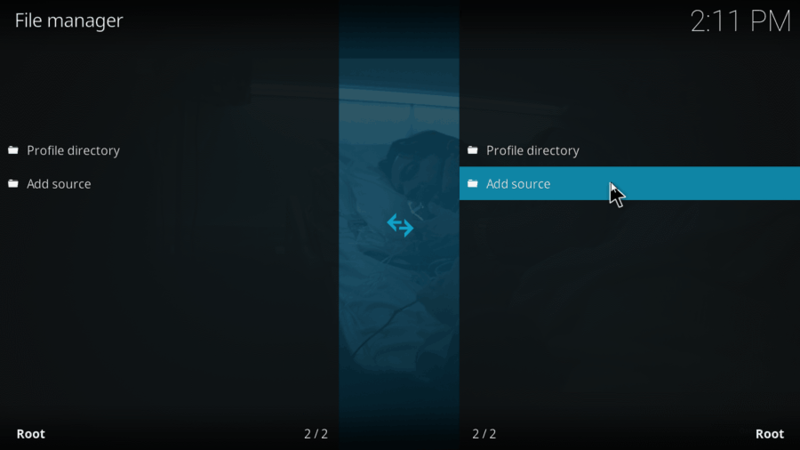 Go to the Unknown Sources option on the right panel in Kodi, and enable it through the toggle switch. Step 5: A pop-up will open. 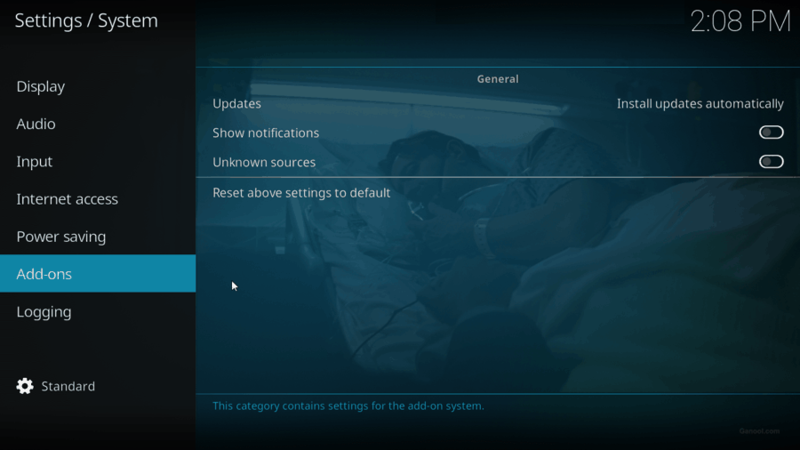 Here, select the Yes option to enable installation from unknown sources on Kodi. 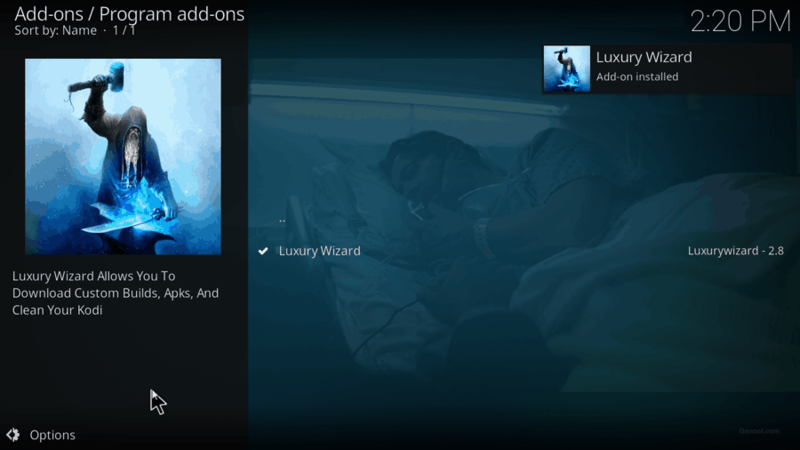 Now that you have enabled Unknown Sources for Kodi, you can proceed to install the Blue Magic Build on Kodi. Step 3: From the next screen that opens, select the Add source option. Step 4: A pop-up window will open up. Here, click on the <None> option. After that, select the Ok option. Step 6: You will be back on the pop-up window. Here, you can enter the name for the source as you like, or leave it as default, which is luxury in this case. When done, select the Ok option. 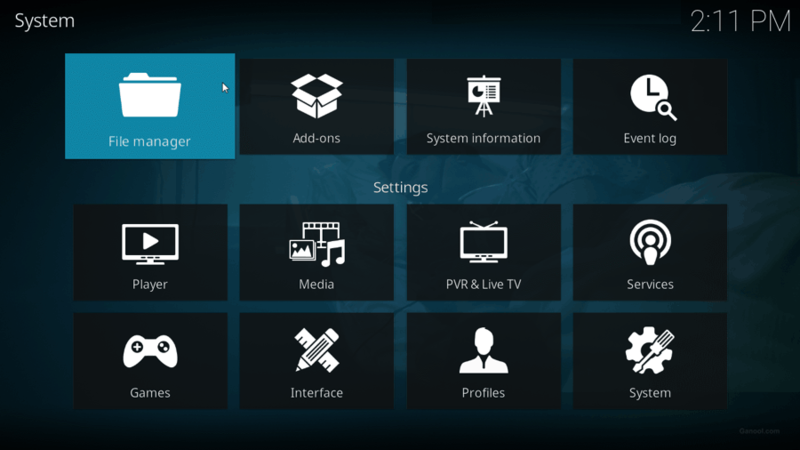 Step 7: Now, exit from the File Manager menu and get back to the main Settings menu of Kodi. There, select the Add-ons option. Step 8: In the Add-ons menu, click on Install from zip file. Step 9: Select the luxury option or whatever the name you set for the source. Step 10: Now, select the repository.luxury-x.x.zip. 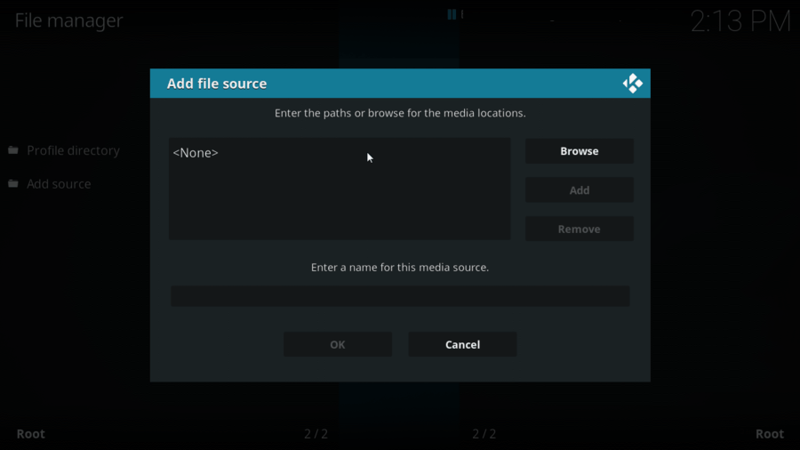 This will initiate the installation of the media repository in Kodi. Step 12: Now, go back to the Add-on setting menu, and select the Install from Repository option. 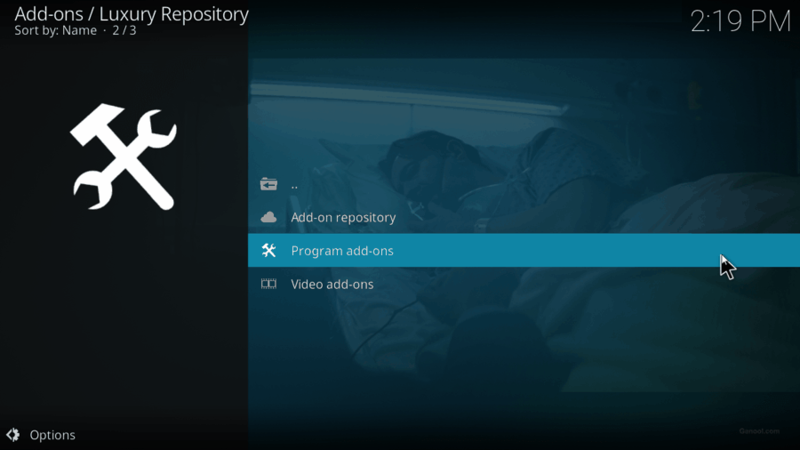 Step 13: A list of repositories will open up. Select the Luxury Repository option. Step 14: From the next menu, select the Program add-ons option. Step 15: Again, from the next menu, select Luxury Wizard. Step 16: The Luxury Wizard window will open. 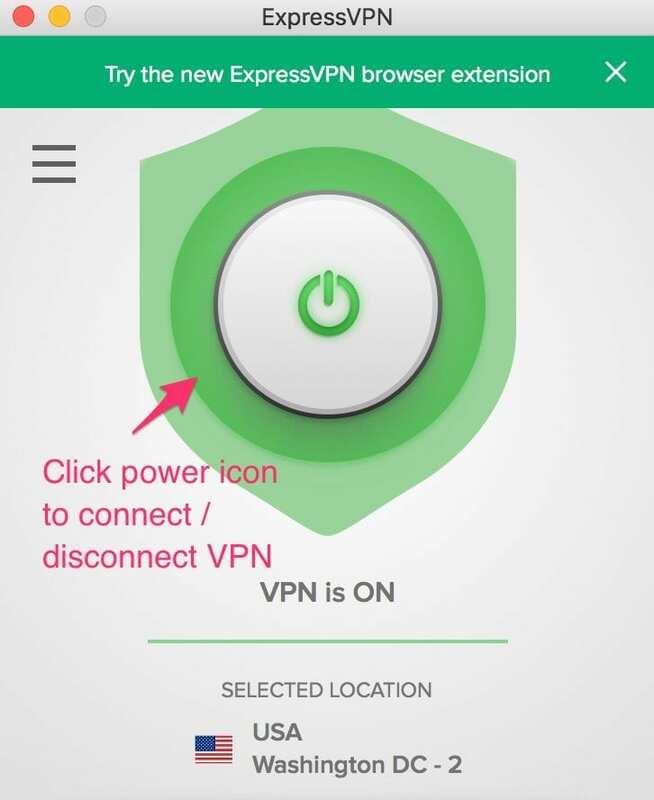 Here, click on the Install from the options available at the bottom of the screen. 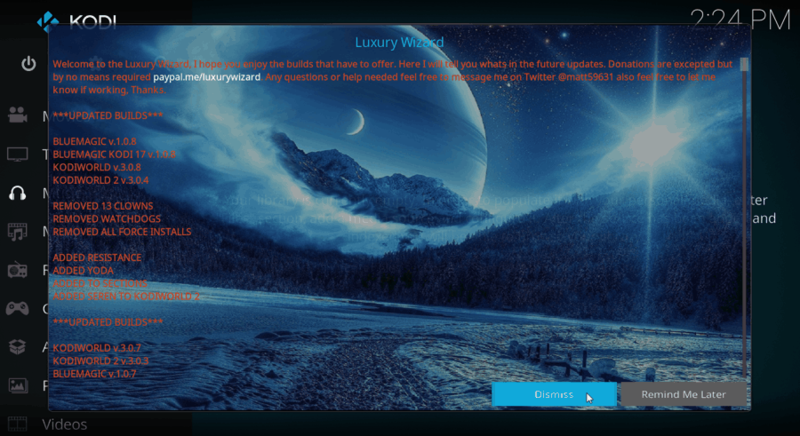 Step 17: Wait till the Luxury Wizard installs and a “Luxury Wizard Add-on installed” message is displayed on the top right corner of Kodi. Step 18: In the next screen, out of the two options that will appear, click on the Dismiss option. Step 19: Select the Continue option from the next screen. Step 20: Now, select the Build Menu option. 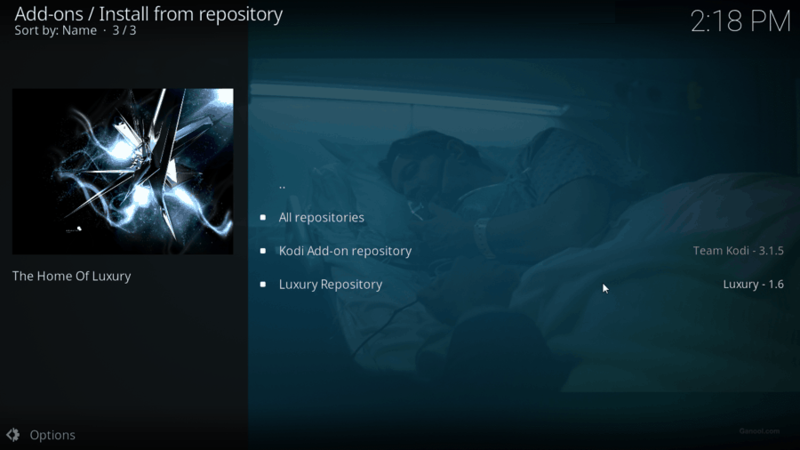 Step 21: A list of Kodi builds will open up now. Here, go under Leia Builds section, where you will have to select the Blue Magic option. 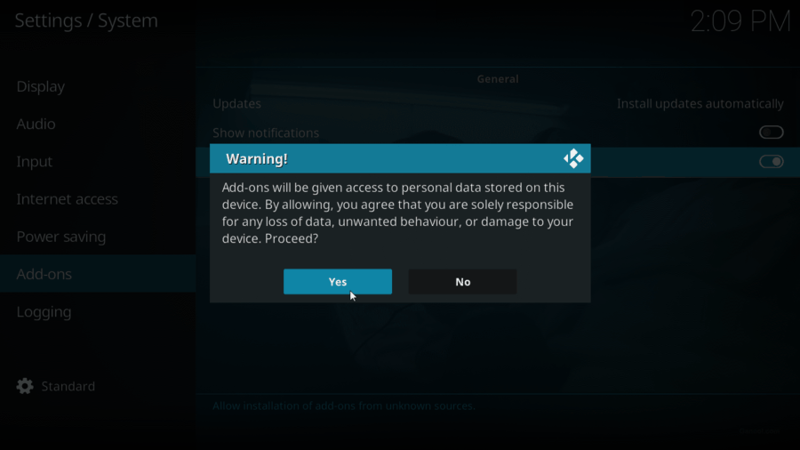 Step 22: In the next screen, click on the Standard Install if you want to retain your existing data. If you want to start fresh, go for “Fresh Install“. 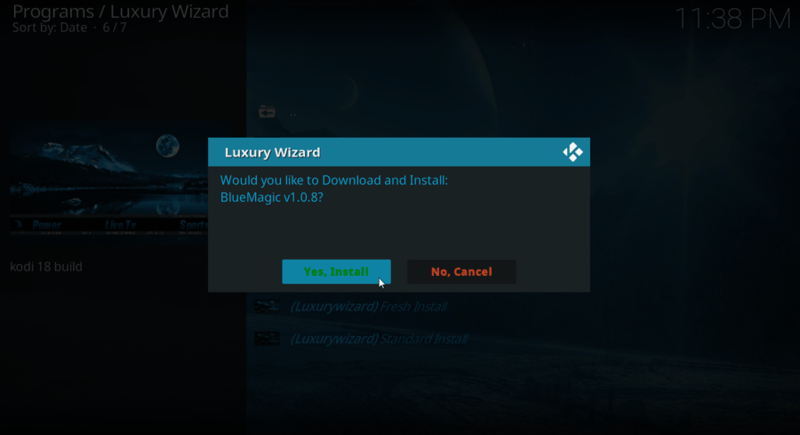 Step 23: In order to proceed to install Blue Magic Kodi build, click on the Yes, Install option. 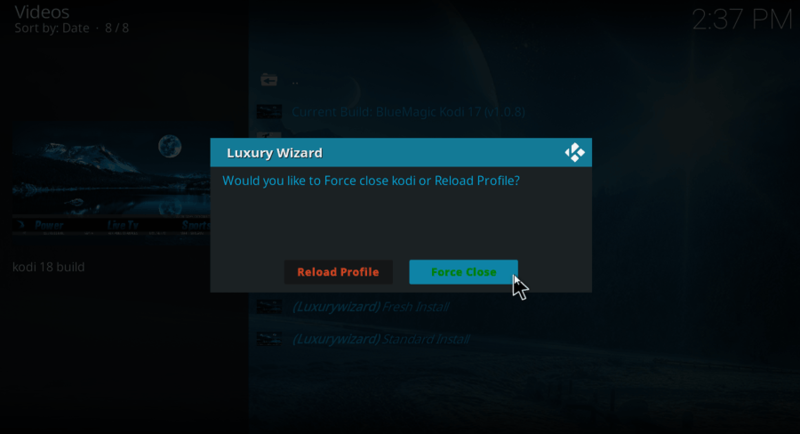 Step 24: A status bar will appear which will show the progress of Blue Magic build download. Wait for the installation to finish. Step 25: From the next screen, click on the Force Close option. Step 26: Now, restart Kodi in order to load the Blue Magic build on Kodi. 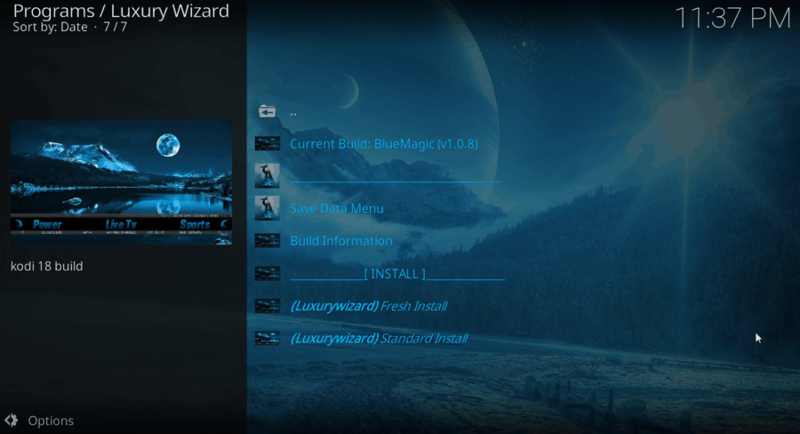 Kodi will now start with the Blue Magic build. 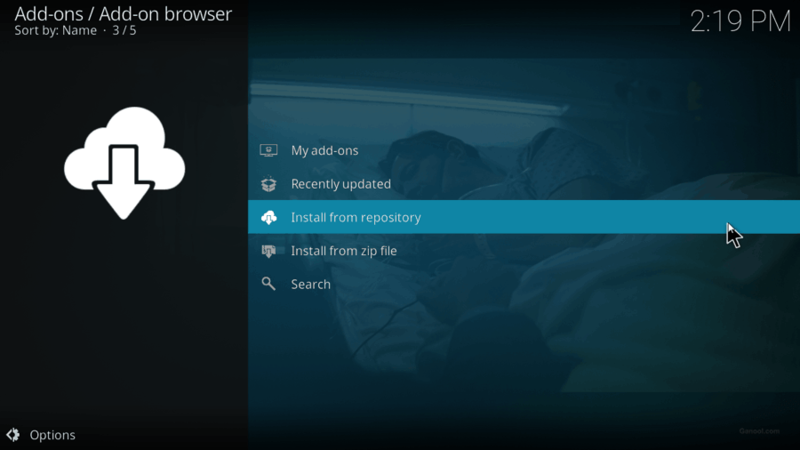 If your Add-ons do not load up, you may need to wait for a while till Kodi updates the Add-ons. 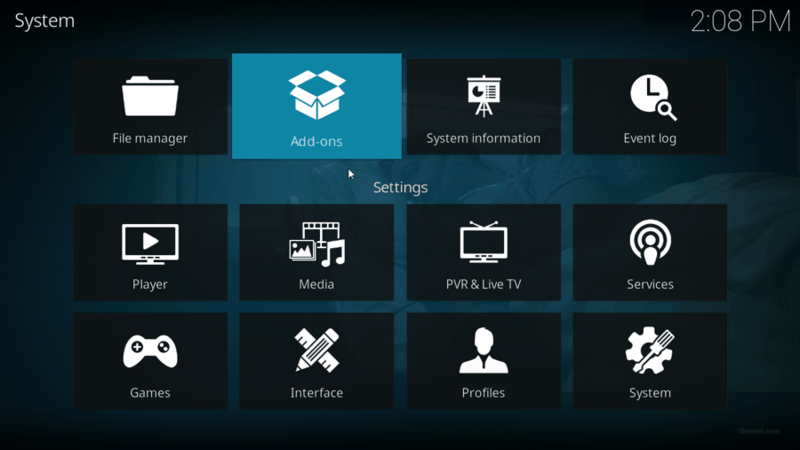 The interface of the Blue Magic Kodi build is quite different but interesting at the same time. If it’s someone’s first time with Blue Magic, the interface might get a little confusing; however, it is all a matter of getting used to. If for some reason you want to switch back to the default Leia interface, you can do so very easily without breaking any sweat. Just go to Settings, select the Interface option, then from the left panel, select the Skin option, again select the Skin option on the right panel. 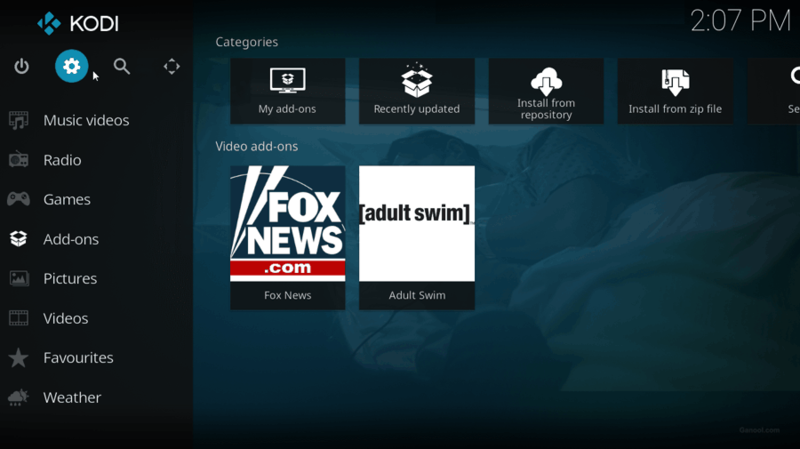 A pop-up with the list of Kodi skins will show up, select the Estuary option. 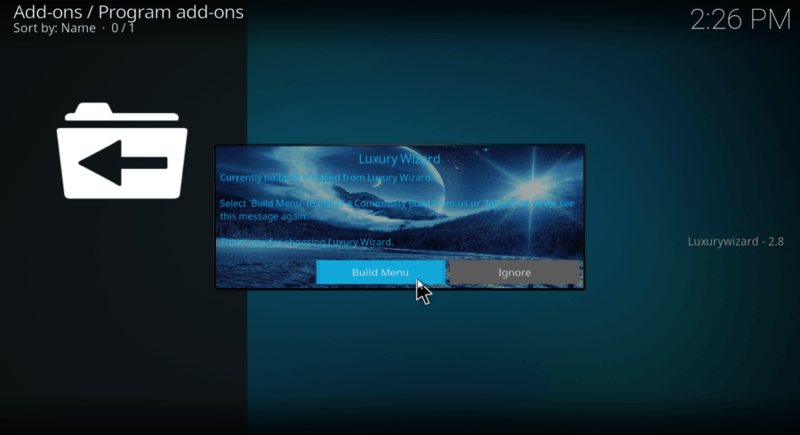 The Blue Magic build comes loaded with a number of add-ons. As mentioned earlier, Aspis, Selfless Lite, Maverick TV, At the Flix, cCloud, Seren, etc. are some of the add-ons that come pre-loaded here. These add-ons work great for watching HD movies, TV shows, sports, etc.